That’s the massive question addressed at the event. I won’t even try to do it here. But especially during the Easter season when we celebrate the good news of Jesus’ death and resurrection, we want to make sure to keep that at the center of how we think and act in relation to our special calling to care for the poor. What difference does the Gospel make? I’ll put it this way: We don’t have all the answers, but in the Gospel we do have the answer to everything. Even for those of us who aren’t homeless, Christians understand that we live in a broken world. Because humanity is fallen, sin and suffering affect everything: our environment, every relationship we have, and even our own minds. Homelessness stems out of the consequences of that brokenness: family breakdown, addiction, trauma, mental illness, and the list goes on. Consider Jeff, the man at the top of UGM’s homepage right now. Jeff called another shelter to see if he could spend the night. He explained his situation, how he had lost everything but was getting sober and wanted to turn his life around. They didn’t say that because they were full or not wanting to help Jeff. They just knew that someone like Jeff, who knew he was broken and wanted to change his life, needed more than a bed and a roof over his head. Jeff needed the safe, relational environment found at UGM. He needed time away from the destructive temptations of drugs and alcohol, so that his mind could get some stability to plan for the future. And he needed answers to deeper questions – not just Where will I sleep? and What will I eat? but What am I living for? How will I deal with all the horrible things that happened to me and move forward? Ultimately, the answers to Jeff’s deeper questions came in relationships with Jesus Christ and his Body, the church. Jeff’s turnaround needed to start with his heart: not centered on UGM, but on the Gospel. In fact, if Jeff’s transformation were based solely on being at UGM, it wouldn’t last once he moved out. In order to sustain his new life, Jeff needs to be a God-dependent, contributing member of society, living in the freedom of Christ in a community of love, acceptance and support. 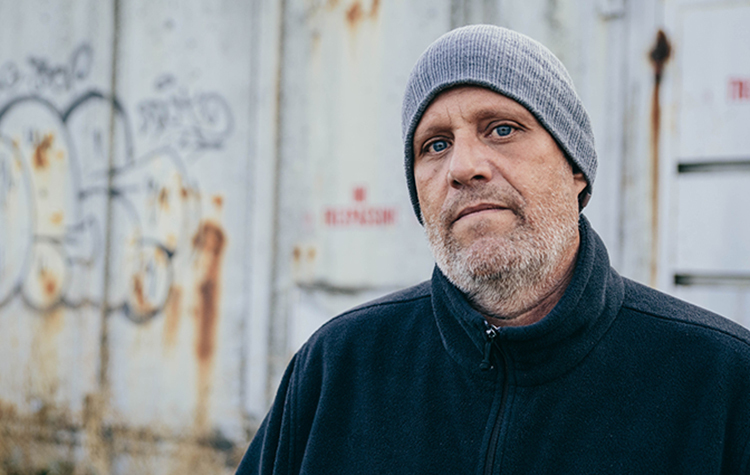 Jeff is now working at UGM Thrift Stores, which will help him with many of the details he needs to sustain his new life: A solid work history to get a long-term job. Safe housing. The ability to pay his bills. Those are important. But if you ask Jeff, he will tell you those things aren’t what changed his life. Jeff’s is just one story. 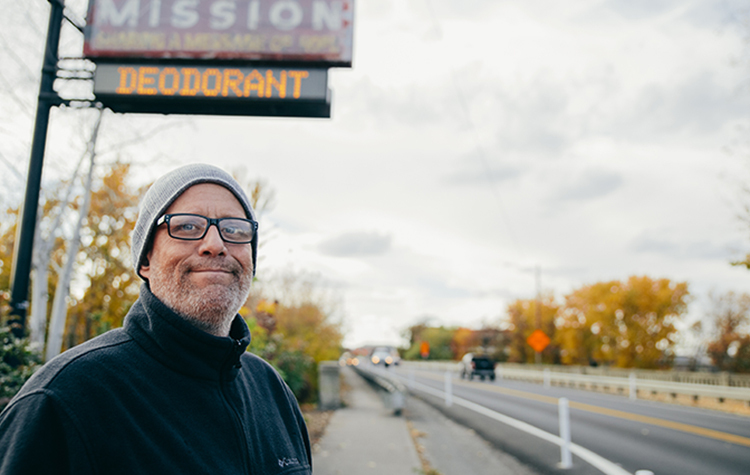 His success doesn’t end homelessness as an issue in Spokane. We offer his story to show the importance of the heart, the soul, the mind – the unseen brokenness at the root of homelessness. Meals, blankets, coats, and even housing won’t touch those. Jesus does that. And when he changes hearts and desires, the self-destructive behaviors that tend to perpetuate homelessness change too. We care deeply about our city, but UGM doesn’t claim to have all the legal and political answers to the problems associated with homelessness here. We do know none of the solutions we try will accomplish lasting change unless they address individuals on a deeper level – underneath the visible needs for food, shelter, and clothing. And we do know that on the individual level, the Gospel answers every need, from the heart, soul, and mind all the way up to the physical needs we provide for one another in the Body of Christ. That’s why UGM invites each person to surrender to Christ, to come to Him for a second chance at life, with the power of the Holy Spirit to help. 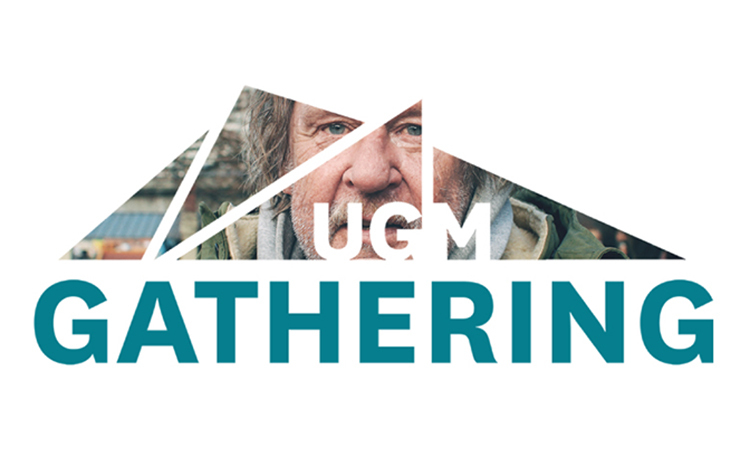 UGM’s other services, and many other resources available to people who are homeless, are an expression of His grace to give them the “hand up” they need to overcome all the other obstacles. Each person is created by God in his own image and is therefore valuable. Change is possible even in the darkest of circumstances. By God’s design, humans flourish when they have responsibility, accountability and the opportunity to contribute to their community. We are created for a greater purpose than merely pleasing ourselves for the moment. Poverty is as much spiritual and relational as physical; only healthy, authentic relationships can end spiritual poverty. Even without faith in Christ, these principles can change lives when they’re applied. But with faith, we’ve pretty much seen mountains move. The Gospel of Jesus is certainly good news! Thanks to all who joined us for the Gathering. May our community discussion of homelessness continue to be filled with truth, grace and love for the poor, who are precious to Him.